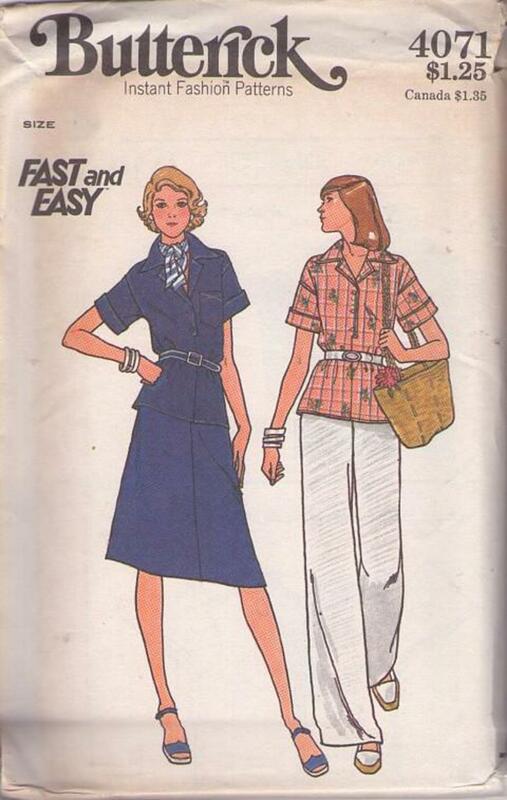 70s Beginners, Retro Casual Clothing Patterns - MISSES' TOP, SKIRT & PANTS. Loose-fitting top has notched collar, extension front buttoned closing, and topstitch trim; short sleeves set into dropped shoulders have turned back cuffs. With or without patch pocket. Slightly-flared skirt in just below-knee length and straight legged pants have waistbands. Purchased belts, hat and scarf.